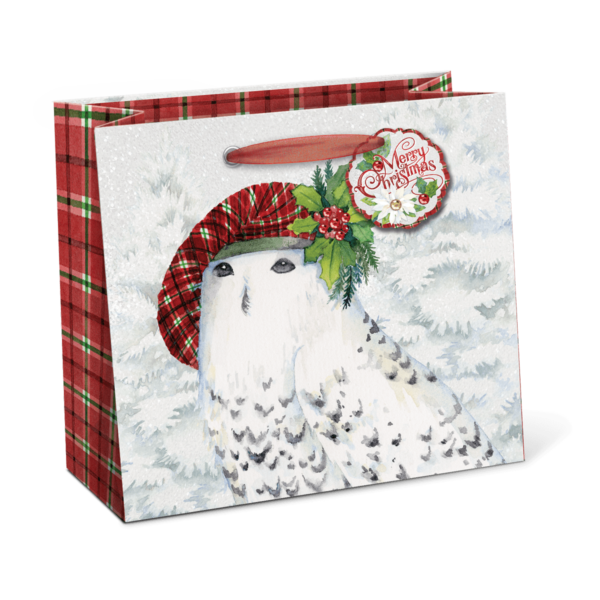 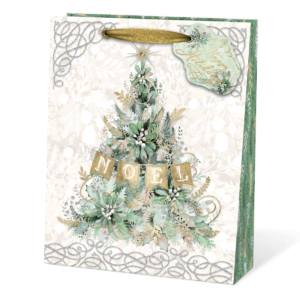 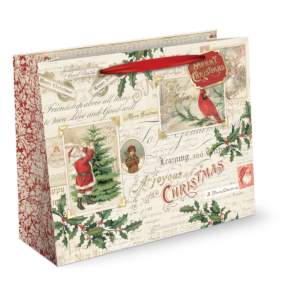 Hoots and holly abound on this Snowy Friends gift bag. 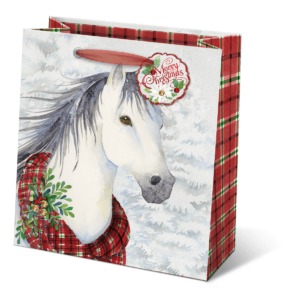 Featuring plenty of festive plaid a matching gift tag. 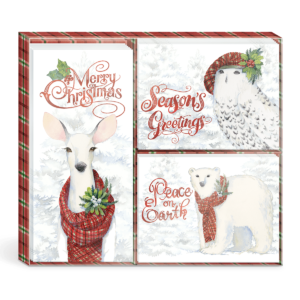 Size: 9" x 8" x 4"